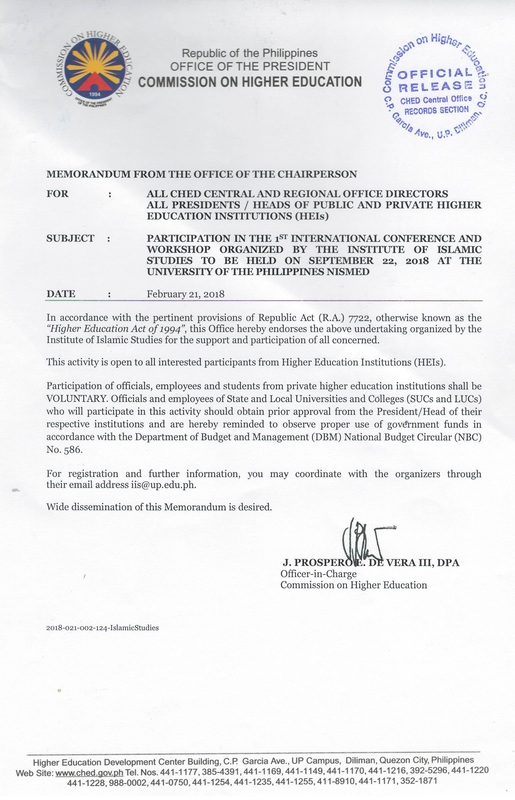 The 2018 UP-IIS International Conference and Workshop are officially endorsed by the Commission on Higher Education (CHED) of the Republic of the Philippines. The international workshop and conference will be held at the UP NISMED on September 21 and 22, respectively. These activities are open to all interested participants from Higher Education Institutions (HEIs). We are inviting everyone to submit your book and paper proposals on or before July 31, 2018 via iis@up.edu.ph. Details are available here.